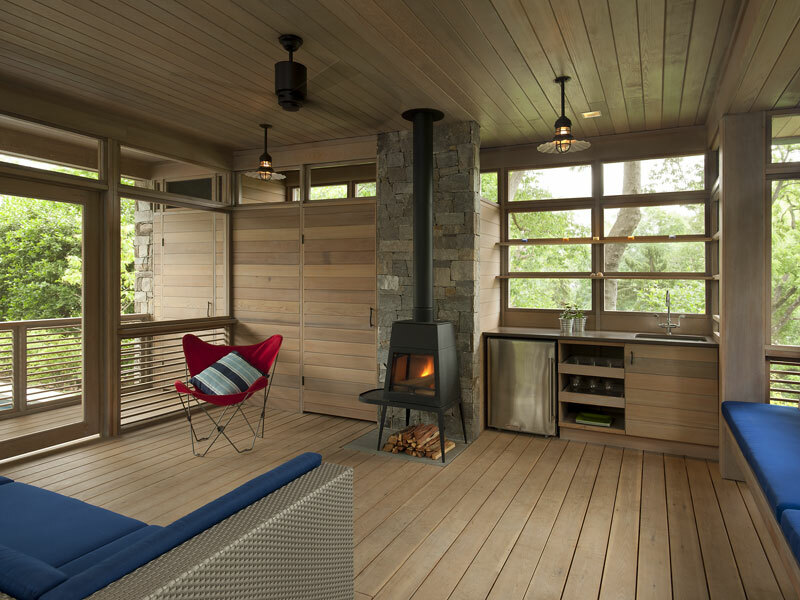 Cunningham | Quill Architects recently completed backyard retreats that dramatically transform the landscape of each property. 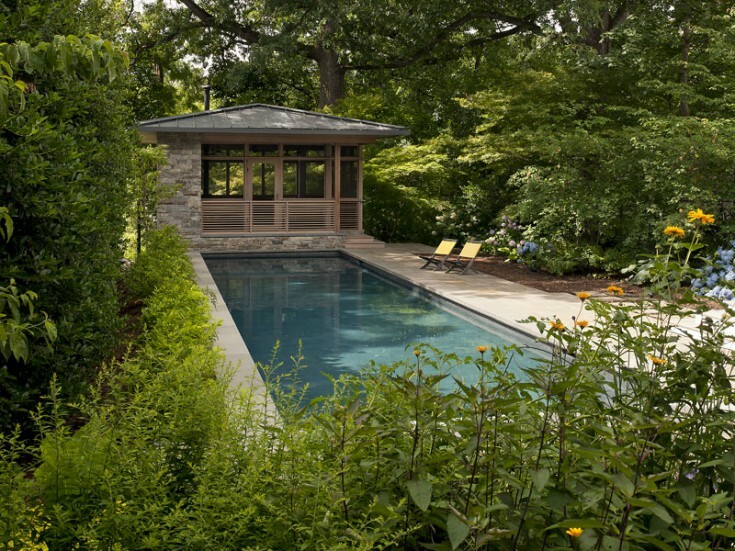 The pavilion and its adjoining pool replace a former garage and driveway in the backyard of a Cleveland Park, D.C. home. The Treehouse is perched at the edge of a steep hill at the rear of the yard, creating a tree top view from within. 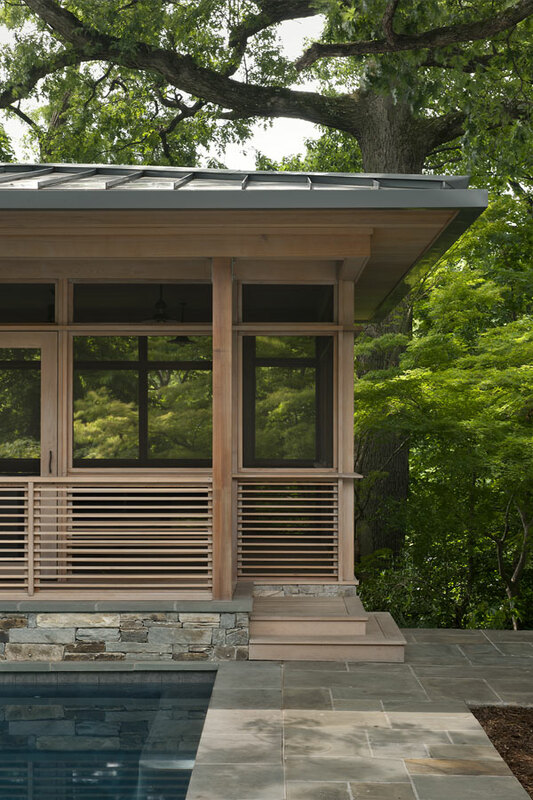 Clad in cedar and split bluestone, the pavilion is open on all sides with screened openings to allow for the seasons and the weather to permeate the space. 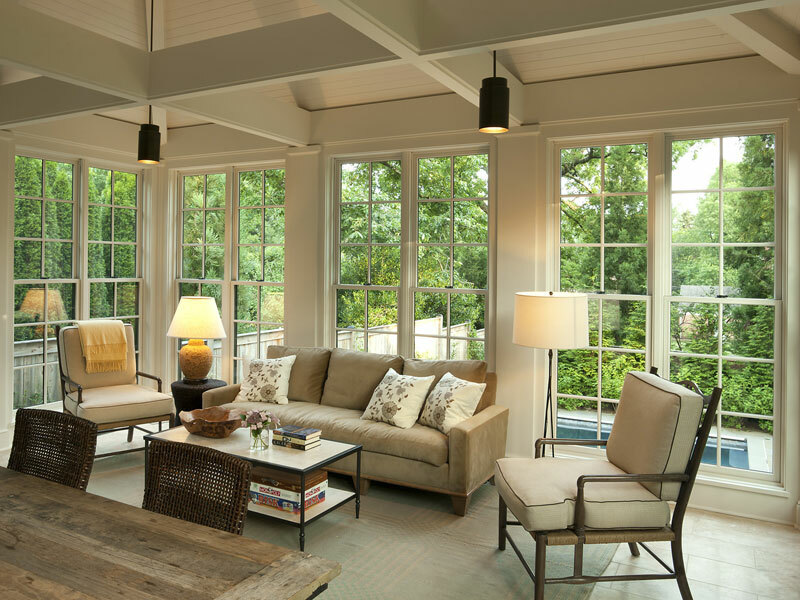 The Moorland Lantern is a two story living room and bath pavilion located in the rear yard of a Bethesda home. Connected to the house with a breezeway, the Moorland Tavern acts as an extension of the house to the pool below. The living room of the pavilion is conditioned space with floor-to-ceiling windows for expansive views to the outside. The pool, garden walls and Lantern create a formal outdoor room and backdrop for the adjacent landscaped yard.